Vincent A. 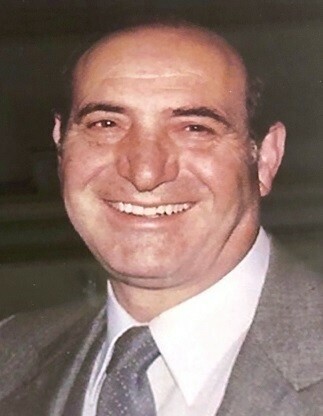 “Jimmy” Bruzzese, of Pasco Circle, Warwick, died peacefully Sunday, February 3, 2019 at home at the age of 97. He was the loving husband of Ada M. (Ferraro) Bruzzese for 65 years. He was also the beloved husband of the late Rose (Iapaolo) Bruzzese. Born in Grotteria, Reggio Calabria, Italy on April 30, 1921, he was a son of the late Tomasso and Immacolata (Carabetta) Bruzzese. At the age of 15, Vincent arrived alone at Ellis Island from Italy, and began working at Providence Cheese Company on Federal Hill along with his father, thus beginning a successful career spanning 72 years. With diligence and ingenuity, enduring much hardship along the way, Vincent created Supreme Dairy Farms, which became an iconic brand of high quality Italian cheese products. Expanding the business to include food products imported from all over the world, he developed the concept of “branding” and “private labeling” long before they became commonplace. He was the embodiment of the American Dream. Vincent was a member of the Lions Club of Federal Hill and the Young Men Italian Imperial Club. He was a communicant of Blessed Sacrament Church in Providence, and then Saint Gregory the Great Church in Warwick. Besides his beloved wife, Ada, he is survived by three sons, Thomas M. Bruzzese, Esq. and his wife, Judith (Soprano), Anthony G. Bruzzese, MD and his wife, Lisa (Agostini), and Richard J. Bruzzese; a brother, Pasquale Bruzzese; a sister, Caterina Carlino, both of Turin, Italy. He also leaves three loving grandchildren, Matthew Bruzzese and his wife, Lakshmi Kumar, Francesca Bruzzese, and Alexandra Bruzzese, and many nieces and nephews. He was the brother of the late Salvatore Bruzzese, Lena Giovanna Ientile, and Iolanda Repice. His funeral will be held on Saturday, February 9, 2019 at 8:45 a.m. from the Russell J. Boyle & Son Funeral Home, 142 Centerville Road (Rte. 117), Warwick. A Mass of Christian Burial will be held at 10:00 a.m. in Our Lady of Mercy Church, 65 Third Street, East Greenwich. Burial will follow in Saint Ann Cemetery, Cranston. Visiting hours at the funeral home will be held Friday, February 8, 2019 from 4 - 8 p.m. In lieu of flowers, donations to McAuley Ministries, 622 Elmwood Avenue, Providence, RI 02907 in Vincent’s memory would be appreciated.